Option #5: Business profile; community organisation profile; NGO profile; government department profile. Max 300 words, with one video or 5 pictures max. : $100 per edition. 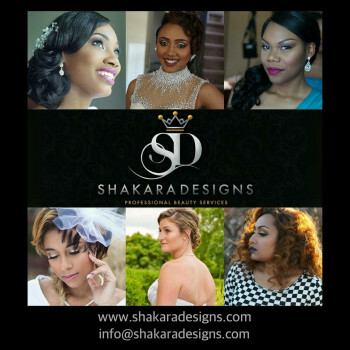 Option #6: Ad customized to client’s needs. Rate to be negotiated. 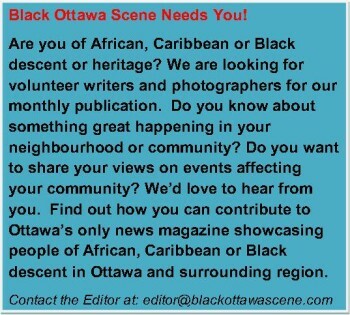 Black Ottawa Scene is published on the 1st day of each month. 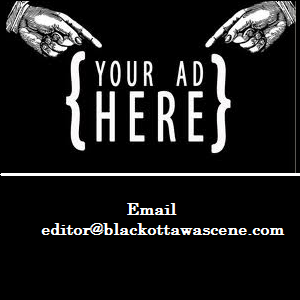 Paid ads must be submitted not later than the 15th day of the month prior to publication. Advertising copy is subject to approval by the editor and publisher. 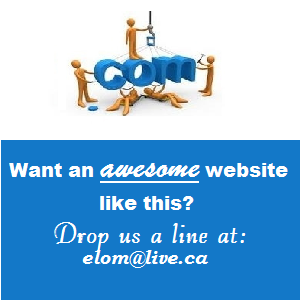 Advertising copy must adhere to the principles of good taste and not violate the Ontario Human Rights Code or other reasonable tests that may be applied. Pre-payment is required for all advertisements.